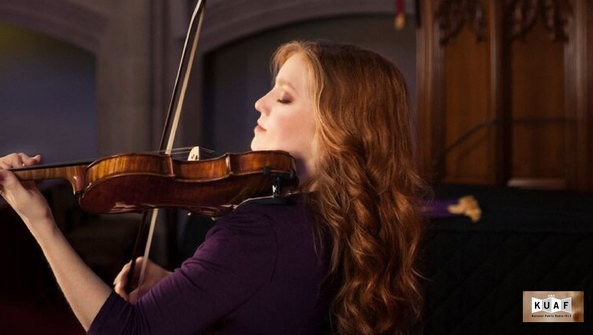 Classical and blues, followed closey by heavy metal, are violinist Rachel Barton Pine's favorite forms of music. In Blues Dialogues she takes on black composers who intertwine the two distinct styles with concert music she can perform. "The blues was just in the air," violinist Rachel Barton Pine exclaims of growing up in Chicago. She remebers her parents frequenting blues clubs and listening to records with them. "When I was a teenager I used to sneak into blues bars to listen to bands." The project, which features 11 composers ranging from William Grant Still to Dolores White, is a part of her Music by Black Composers initative to bring underepresented voices into the spotlight. The ambitious project includes a database of living black composers and a coloring book of 40 black classical composers. In 15 years she's collected more than 900 works representing music from across the globe spanning the 18th through 21st centuries.